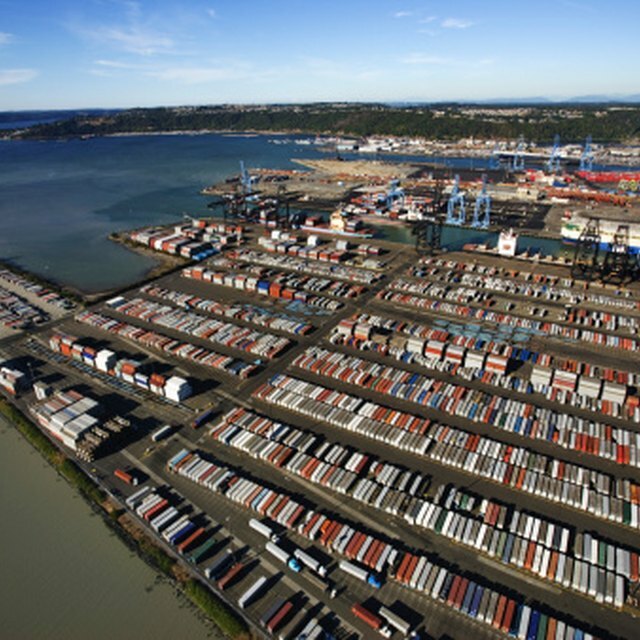 What Are the Advantages and Disadvantages of Intermodal Freight Transportation? Intermodal freight transportation involves moving freight by using two or more modes of transportation. Typically, transportation modes include truck, railroad and steamship. Although transportation by air also is possible, the method is costly. Intermodal freight transportation positively influences our global economy by controlling the way we move our goods. Nevertheless, some factors need to be kept in consideration to avoid restricting the value of intermodal fright transportation. A truck moves an empty container to the shipper. The shipper loads the container with goods. The truck transports the loaded container to port. At the port, the container is loaded onto the steamship, which is forwarded to the port of destination. The container is driven to the warehouse of the receiver shortly after being discharged at the port of destination. Intermodal freight transportation gives you flexibility with how you want to move your freight. Additionally, you have the opportunity to be creative in finding the most efficient way to move your freight. Generally, this process involves at least two modes of transportation. The more efficiently you plan, the more money you will save. Intermodal freight transportation may be costly depending on the number of modes of transportation. Some downfalls to intermodal freight transportation involve the high costs that are associated with moving freight by using several types of modes of transportation. Lack of communication and idle time of equipment will increase transportation costs. Similarly, equipment that moves from one location to another empty also adds to the costs. A supply chain is defined as three or more organizations that are directly linked upstream or downstream in the flow of products or services as they move from the source to the customer. Intermodal freight transportation plays a major role in enabling organizations in a supply chain to respond to market changes by providing them with options. Organizations within a supply chain use intermodal freight transportation to cooperate and assist each other in maximizing profits. This cooperation is achieved by sharing information and communicating their needs to each other. Load Match: What is Intermodal?